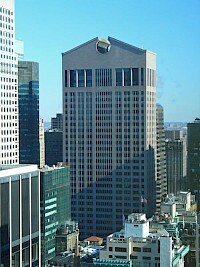 1515 Poydras (formerly the Gulf Building), located at 1515 Poydras Street in the Central Business District of New Orleans, Louisiana, is a 29-story, 341 feet (104 m)-tall skyscraper. 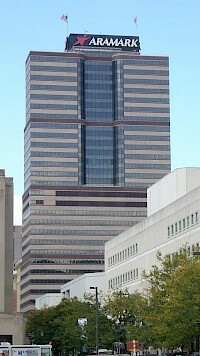 1555 Poydras (formerly the Exxon Building), located at 1555 Poydras Street in the Central Business District of New Orleans, Louisiana, is a 22-story, 262 feet (80 m)-tall skyscraper. The main occupant of the property is the Tulane University School of Medicine. The school has secured the leases to several of the upper floors, and is expected to occupy the majority of these in the coming years. Aramark Tower, formerly known as One Reading Center, is a high-rise building located in the Center City region of Philadelphia, Pennsylvania. 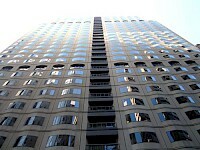 The building stands at 412 feet (126 meters) with 32 floors, and is currently the 23rd-tallest building in Philadelphia. The building was originally conceived by the Reading Company while in a state of bankruptcy as a way to capitalize on its real estate holdings in center city. 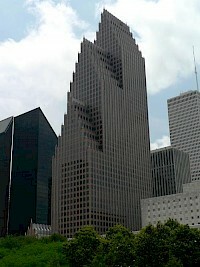 The Bank of America Center is a highrise representing one of the first significant examples of postmodern architecture construction in downtown Houston, Texas. Formerly the RepublicBank Center, NCNB Center, and NationsBank Center the building was completed in October 1983, and designed by award winning architect Phillip Johnson and partner John Burgee and is reminiscent of the Dutch Gothic architecture of canal houses in The Netherlands. .
Capitol Square is a 350ft (107m) tall skyscraper in Columbus, Ohio. It was completed in 1984, has 26 floors, and 45,939 m² of floor space. 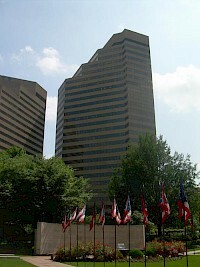 Abramovitz, Harris & Kingsland designed the building, which is the 13th tallest building in Columbus. 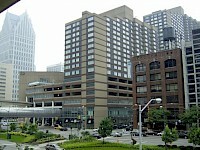 The 20 floor Hyatt on Capitol Square is part of the same complex, and is constructed on the former site of the Hartman Building. 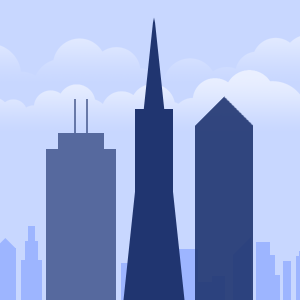 One Sansome Street, also known as Citigroup Center, is an office skyscraper located at the intersection of Sutter and Sansome Streets in the Financial District of San Francisco, Californianear Market Street. The 168 m (551 ft), 39 floor, 545,000 sq ft (50,600 m) office tower was completed in 1984. 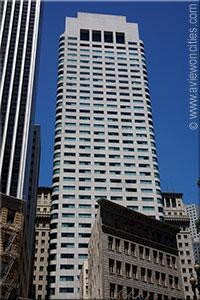 One Sansome Street was acquired by Beacon Capital Partners LLC from BayernLB in 2005 for $217 million or $394.55 per ft² ($4,247.32 per m²).